Stratolaunch and Orbital ATK announced the “production-based” partnership last week, claiming the agreement will offer “significant cost advantages” to air-launch customers. Orbital ATK will supply multiple Pegasus XL rockets for Stratolaunch to mount underneath the company’s huge carrier aircraft currently under construction in Mojave, California. 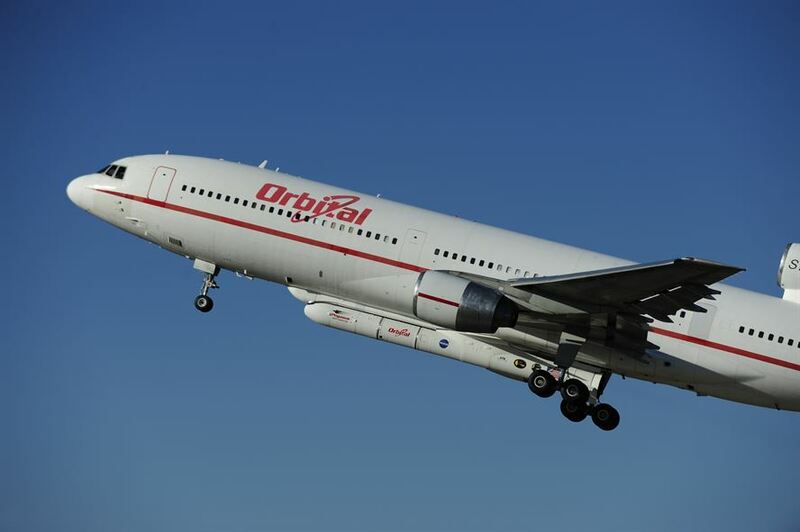 The Pegasus rockets, which currently launch from Orbital ATK’s own modified L-1011 carrier plane, can put up to 1,000 pounds (450 kilograms) of payload into low Earth orbit. The decision by Stratolaunch officials to go with an existing rocket will likely reduce the time and cost of developing the firm’s commercial launch system, which the company says should be in service by the end of the decade. 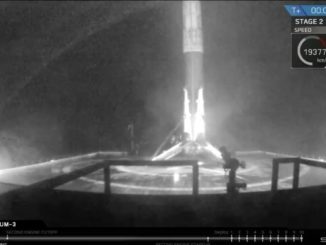 It also signals a shift in Stratolaunch’s strategy to target the small satellite launch market, not bigger spacecraft as the company originally envisioned. Allen unveiled Stratolaunch in 2011, initially eyeing a scheme to launch a variant of SpaceX’s Falcon 9 rocket from a plane. 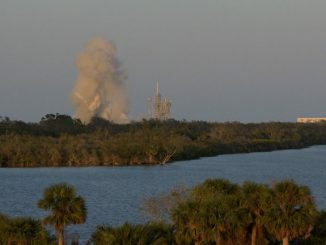 SpaceX later withdrew from the Stratolaunch partnership, and Orbital ATK stepped in with a concept to develop a medium-class launcher named Thunderbolt for Allen’s project. But Stratolaunch has revamped its strategy again, this time to focus on launches of small spacecraft, an emerging market driven by satellite constellations planned by companies like OneWeb, SpaceX, Google’s Terra Bella, Planet and others to expand broadband communications coverage and create near real-time maps of Earth. Floyd, a former executive at Orbital ATK, joined Stratolaunch last year, then took over as the interim chief manager of Allen’s aerospace investments last month when Vulcan Aerospace’s previous executive director, Chuck Beames, left the company. 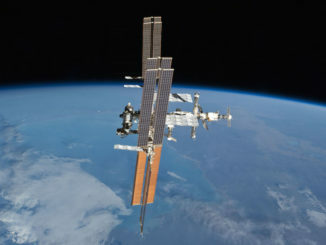 The Pegasus rocket has logged 42 space launch missions since 1990, and 28 successful satellite deployments in a row. In its current incarnation, the air-launched rocket is dropped from the belly of Orbital ATK’s L-1011 TriStar carrier airplane, then ignites the first of three solid-fueled rocket motors to accelerate and climb into low Earth orbit. 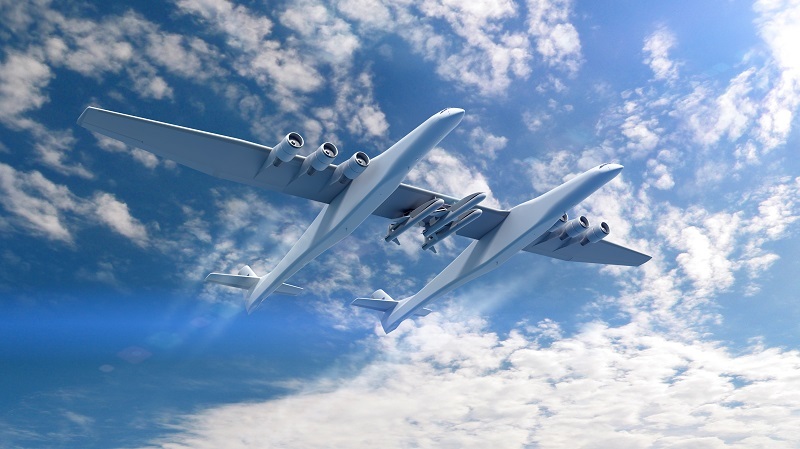 Stratolaunch has not disclosed how the company will use the Pegasus rocket, but an artist’s illustration released last week showed three Pegasus launchers mounted to the bottom of the company’s enormous airplane. The six-engine, twin-fuselage carrier is under construction in California by Northrop Grumman’s Scaled Composites subsidiary. The airplane will have a wingspan of 385 feet (117 meters), a length of 238 feet (72 meters), and a maximum takeoff weight of 1.3 million pounds (about 590 metric tons).